A food delivery driver was attacked by an apparent thief in Lackawanna Plaza Friday evening, April 12. 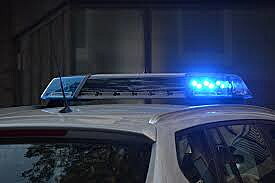 The 65-year-old driver returned to his vehicle parked in Lackawanna Plaza at 8:15 p.m. to find his side window broken and a man rummaging through his car, police said. Upon seeing the owner of the vehicle returning, the man punched the victim in the face and then struck the victim numerous times in the head with a rock, police said. This suspect, who fled the scene, is described as light skinned African-American male, in his 40s, approximately 5-feet, 6-inches in height and with a very thin build. At the time, he was wearing a black hat, black jacket, black pants, black shoes, and possibly had a blue gym bag type backpack. The victim’s wallet was taken from his pocket during this assault. The Wayne resident sustained lacerations to the head, and was transported to Mountainside Medical Center for treatment.